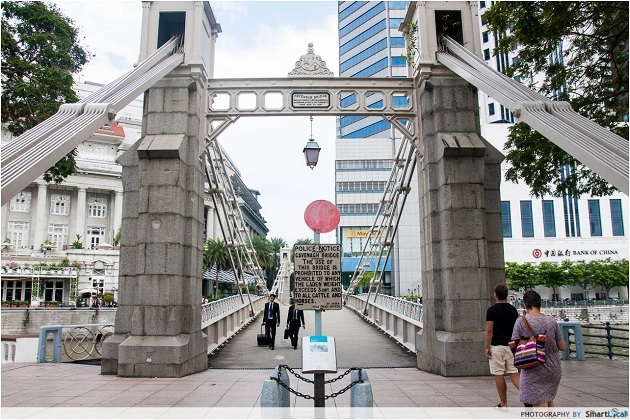 Most Singaporeans only visit the Singapore River area on weekend nights and on public holiday eves. 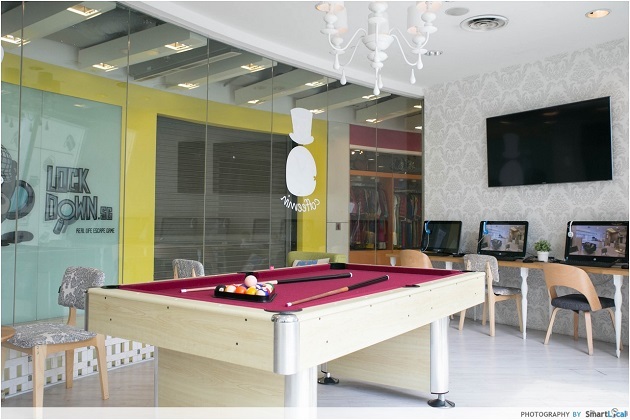 It's a cool place to hang out with your friends when night falls, but most Singaporeans rarely visit in the day. Tourists though, love the Singapore River. 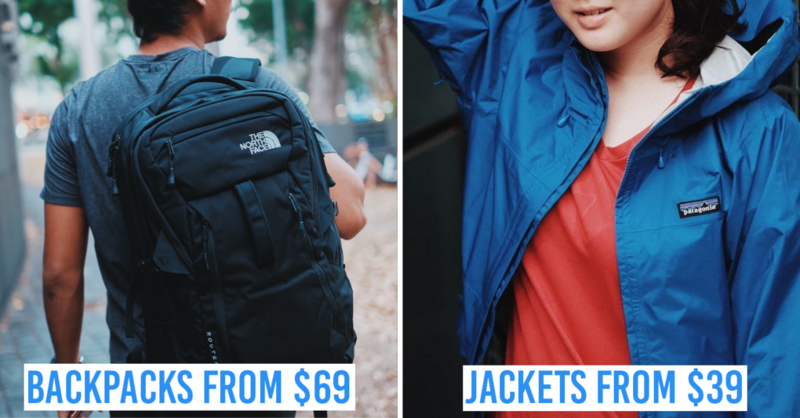 Take a stroll down the Singapore River and you'll almost certainly see an ang moh with a fanny pack waving at you from the river cruise. The riverside is perhaps most commonly known as a major attraction for tourists by day and a nightlife central by night. Yet, there is so much more to this landmark than just that - the riverside has so much to offer to locals and tourists alike, at any time of day. Last week, we ventured down the riverside to explore the plethora of attractions, from temples and museums to activities for the adrenaline-seekers, here are 10 attractions along the river that you would want to check out. 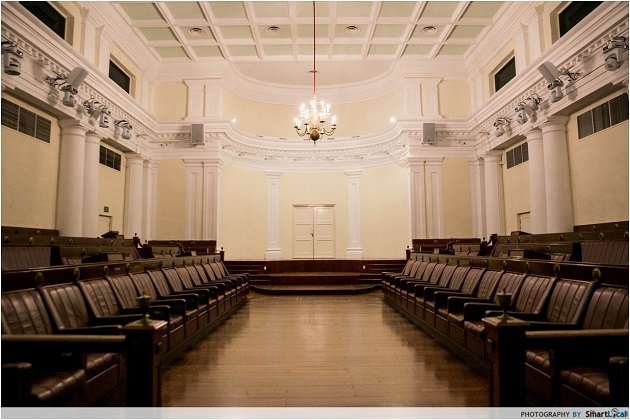 The Arts House is a multi-disciplinary arts venue which is relatively under the radar. 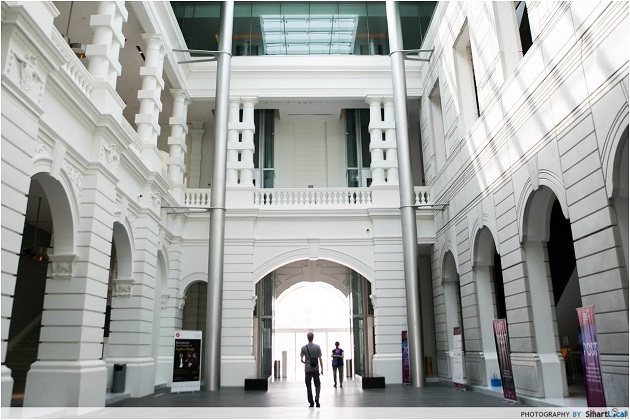 The corridor is dotted with paintings of Singapore’s heartlands, which inspired the Central girl in me to explore Singapore’s other districts. 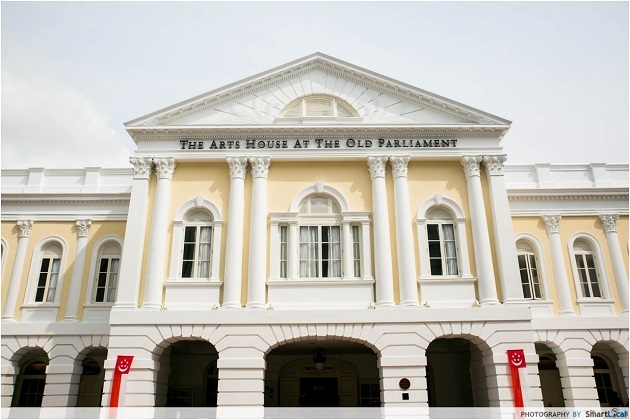 Fun fact: the Arts House was once Singapore's Parliament House, where matters concerning the country were debated. 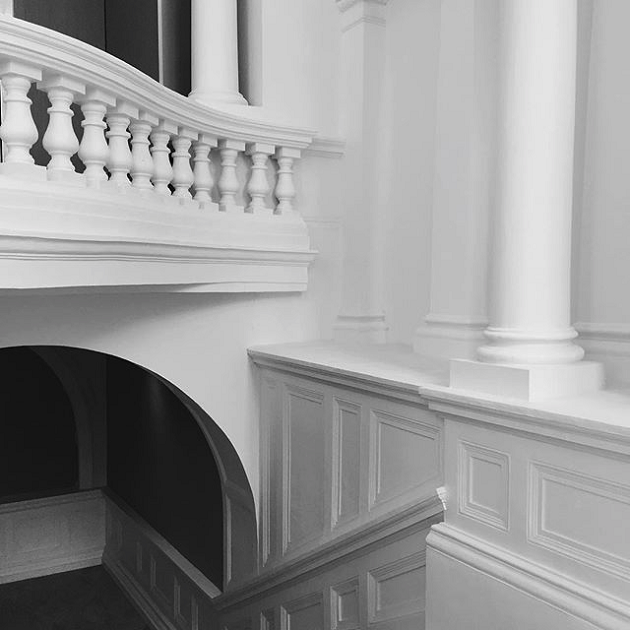 Head upstairs to the Parliament Room, carefully preserved to retain its solemn air. The venue also plays host to a range of exhibitions, including a series of World Literature talks and workshops this month. 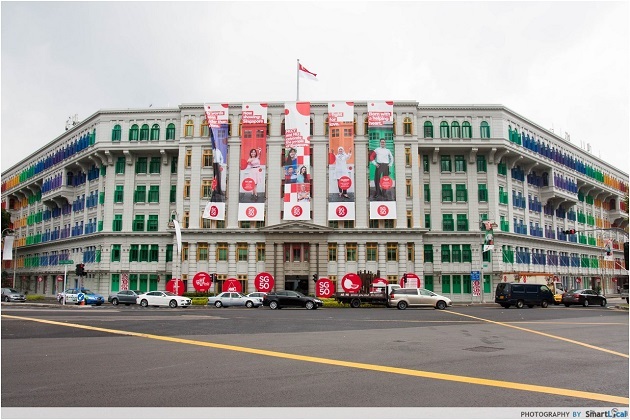 Find out about their upcoming exhibitions here. 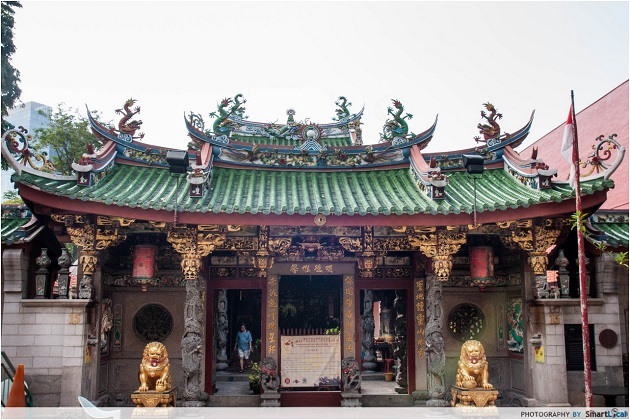 Located close to the Singapore River, the Tan Si Chong Su Temple enjoys fantastic feng shui. The entrance alone had me gaping in wonder, with its lavishly sculpted columns and ornaments. 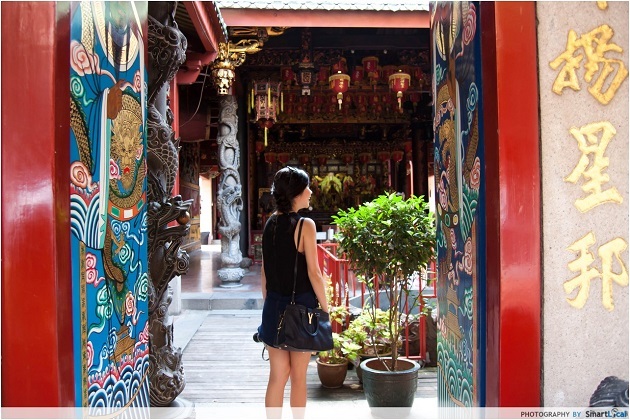 Pictures hardly do it justice - you have to pay this temple a visit for yourself! We visited slightly before noon, and we pretty much had the place to ourselves, save for a temple worker who kindly welcomed us to explore the premises. Make a wish at the wishing well or explore the temple’s different halls, each stunning in its own way - some were clearly recently used by the temple workers, which added to the rawness of the place. The tranquility of the place is rejuvenating, even for the non-religious. 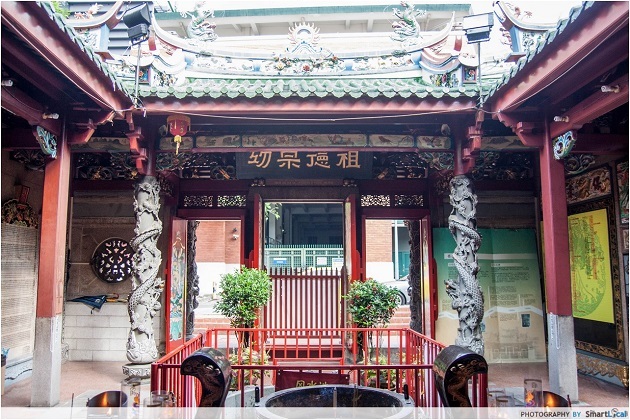 And while you’re exploring the rich Chinese heritage behind this temple, why not also visit Peony Jade for some heartwarming Chinese cuisine? Less than a 10 minutes’ walk from the temple, Peony Jade offers a 5-course lunch set for only $25. It’s impossible to keep count of every person you know who’s ever taken an OOTD by the Old Hill Street Police Station. The cheerful colours of its wooden window shutters brightens your mood instantly, also making for a perfect backdrop for a picture. Less well-known are the exhibition spaces in the building, called ARTrium, where art exhibitions and flea markets are sometimes held - check their website for a list of their upcoming events. 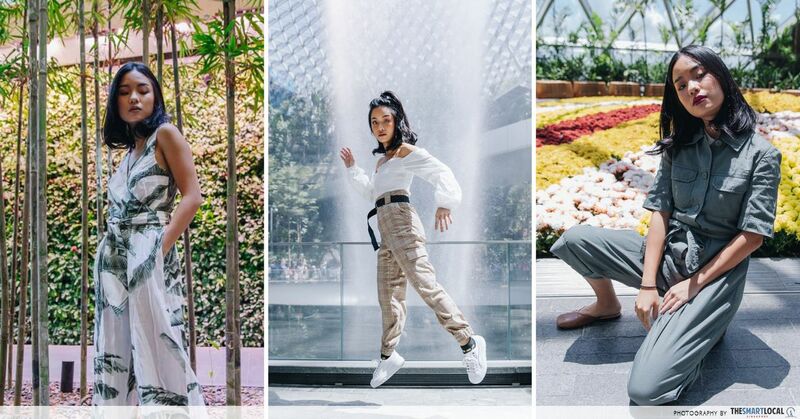 Taking OOTDs is hard work. Since you're in the area, hit up Enoteca L’Operetta, not far from this attraction, for some fine dining Italian fare. 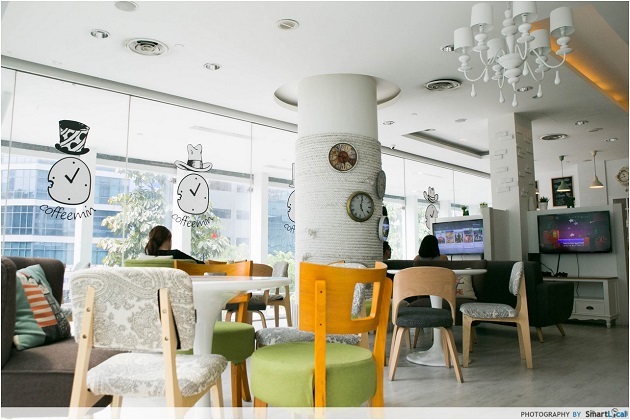 Coffeemin, located in a corner of Central, is a pay-as-you-go concept cafe. 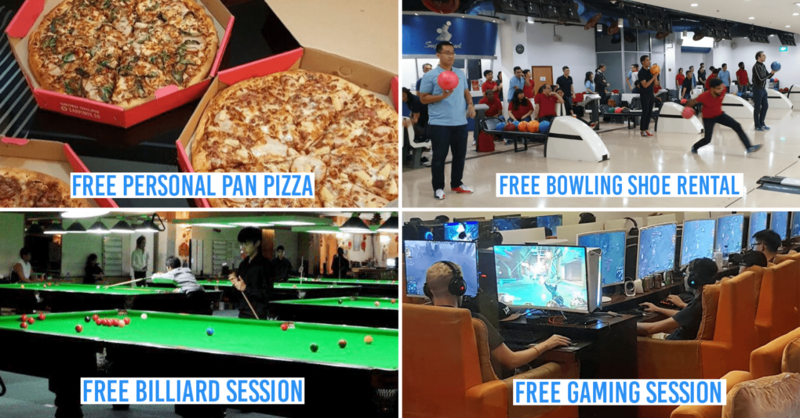 For just $6 an hour, take advantage of their range of x-box games, pool table, and computers, while enjoying an unlimited amount of drinks and snacks. The cafe doesn’t get too crowded - we had most of the place to ourselves when we were there - so it’s a conducive place to even get some work done, with free wi-fi and charging ports available as well. Have I also mentioned unlimited amount of drinks and snacks? Connected to Coffeemin is Lockdown, a real-life 5D escape game that requires you to crack your brains to solve puzzles and get out of a simulated scenario within a certain timeframe. Who says you can’t be a tourist in your own country every once in a while? Enjoy a leisurely ride past the landmarks along the river and see the city from a different perspective in the boat tour. There are river taxis that can bring you from specific stops to another from $3. If you’re feeling slightly cheekier, go for the floating bar. 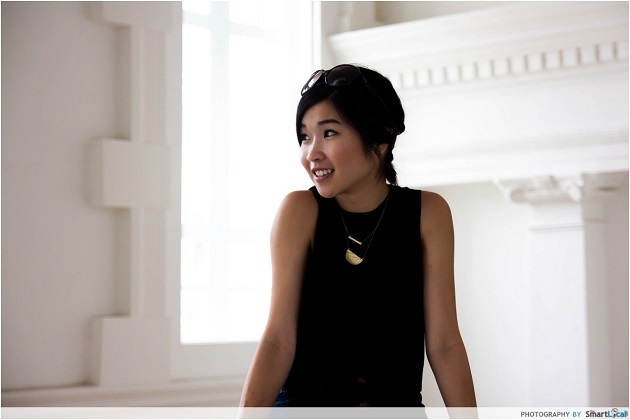 The Singapore skyline is beautiful as it is, but a drink or ten will only make it better. Find out more information about the River Explorer here. Keep the party going at Brewerkz - enjoy some pub grub and perhaps a beer... or ten. I mean, why not go full-on tourist mode? 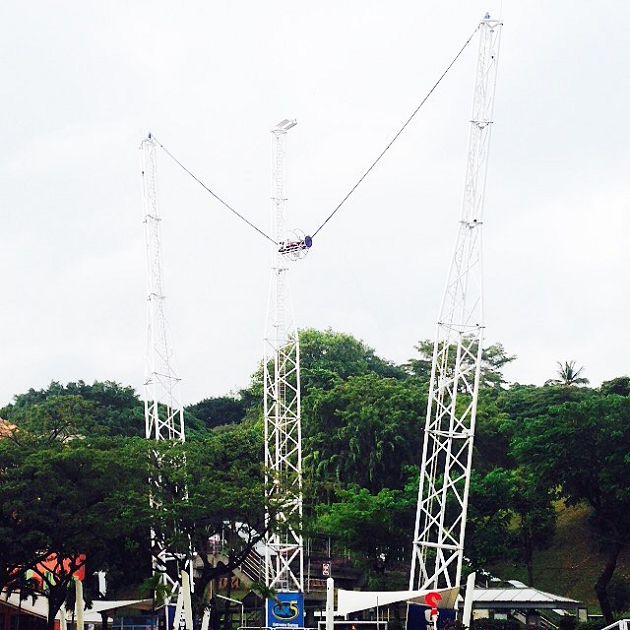 There is no way you would’ve missed the G-Max Reverse Bungy if you’ve ever been along the River at Clarke Quay. 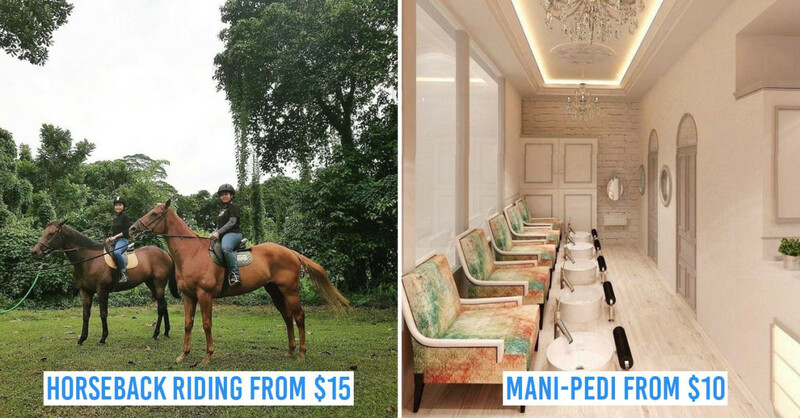 For the adrenaline junkies, strap yourself on and enjoy the thrill for only $45. For the non-adrenaline junkies, do it anyway - regret afterwards if you have to. Be propelled skywards where you will be met with spectacular views of central Singapore - provided you can keep your eyes open! 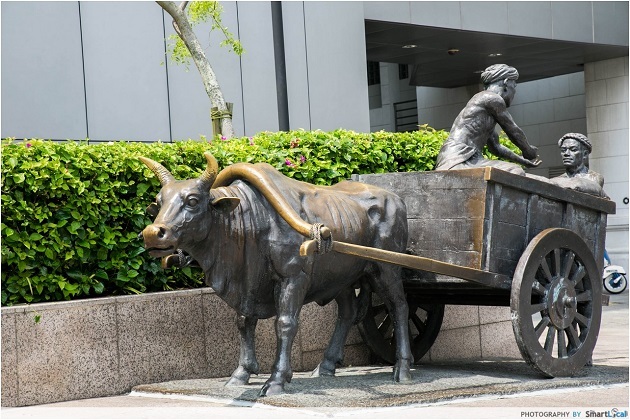 I’m willing to bet you’ve done a tour of these bronze statues during a field trip in primary school, but the 11-year-old you was probably too distracted by something irrelevant to pay attention to your teacher talking about their significance. 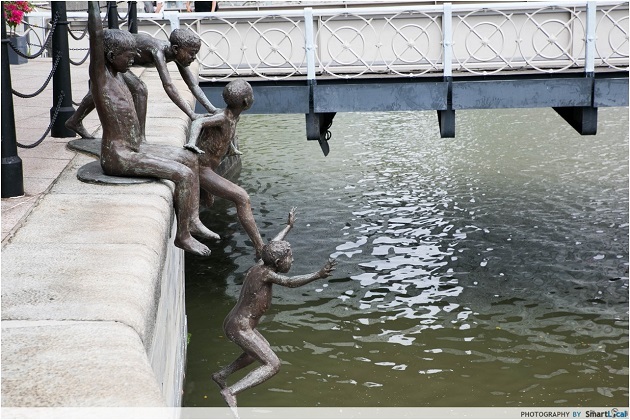 When strolling along the banks of the Singapore River, you’ll find these sculptures near Cavenagh Bridge, extending towards Boat Quay. 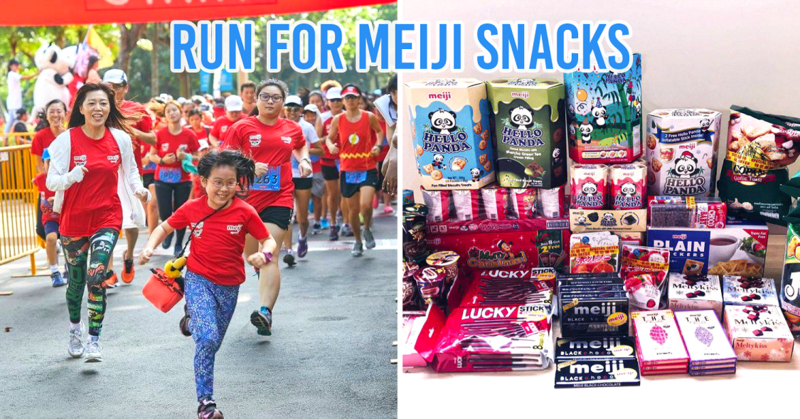 Get a glimpse of life by the river in olden day Singapore - children exuberantly jumping into the river, merchants engaged in trade, or Singapura cats. 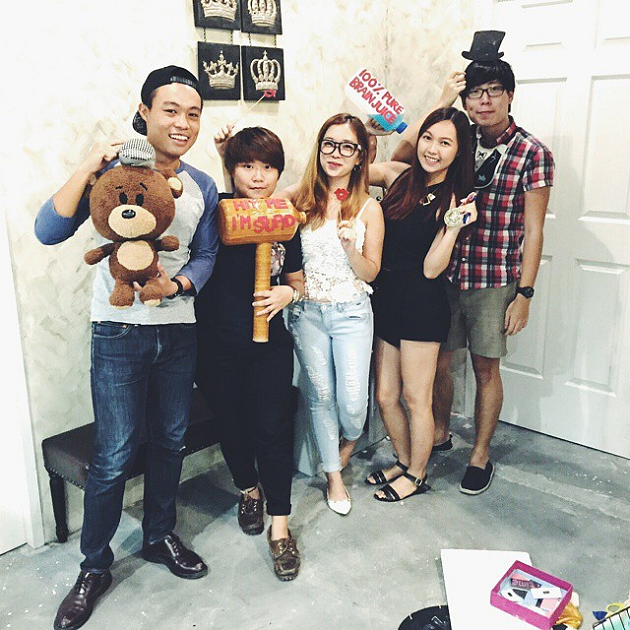 Take a picture with them and be transported into the past! 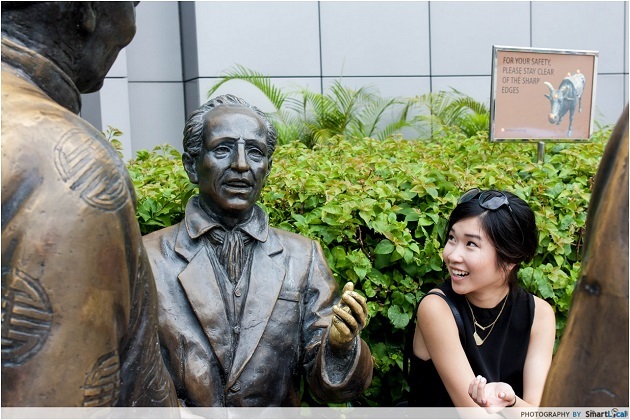 The bronze statues aren't an attraction you’d spend too much time on, but do keep this on your itinerary; there are also plenty of picturesque spots nearby such as the Fullerton Hotel and Cavenagh Bridge. 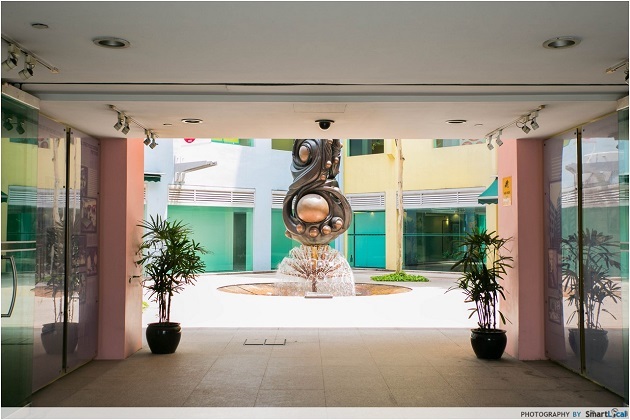 If you're planning to join the Sculpture Walk, head over to Ellenborough Market Cafe to eat your fill of local, Peranakan and other Asian delights at their buffet lunch before. You could walk off the food after! If you love beautiful things - and who doesn’t - then pop by to Victoria Concert Hall just across the street from the Arts House. The architecture of the interior is stunning, with its high ceilings, wide corridors and clean whiteness inspiring a reposeful sense of space. 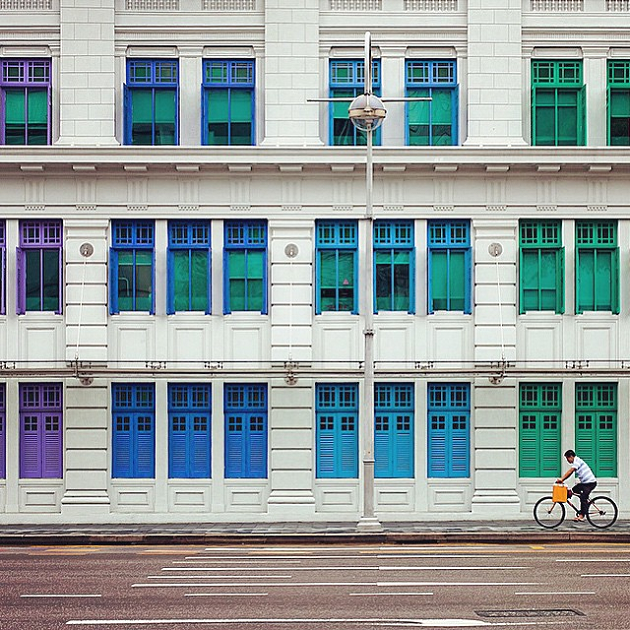 It is little wonder that it is a favourite spot among photographers - it’s also about time you up your #IGlife game! No, seriously, just look at this place - it's classy, hipster, minimalist… all things beautiful. What concert? Just watch the walls! 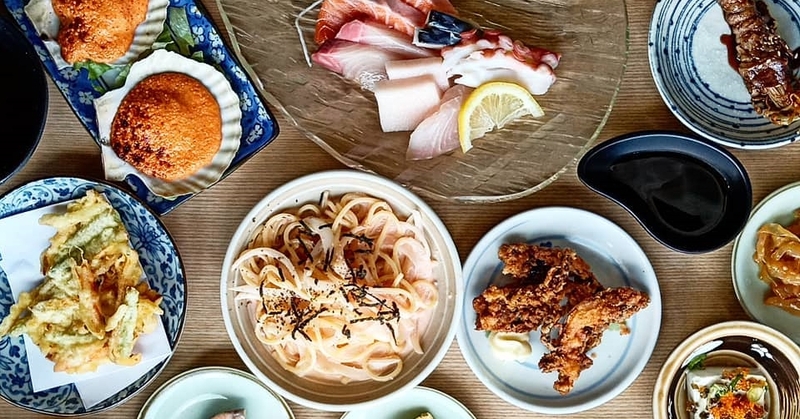 Fancy architecture is great, so take it up a notch by treating yourself to an equally fancy lunch at Wakanui, where New Zealand meats meet Japanese grill. 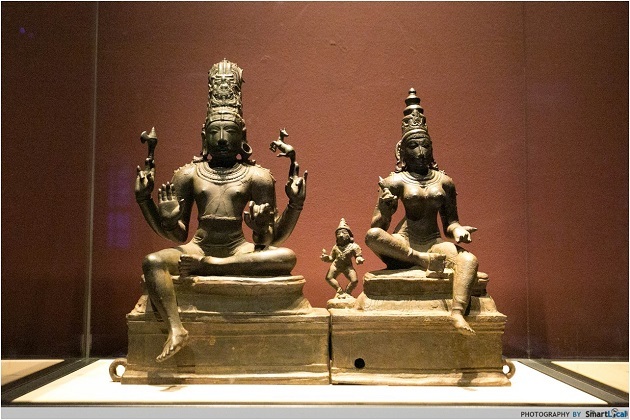 The Asian Civilisations Museum is good and free - in a truly Singaporean spirit, what’s there not to like about it? 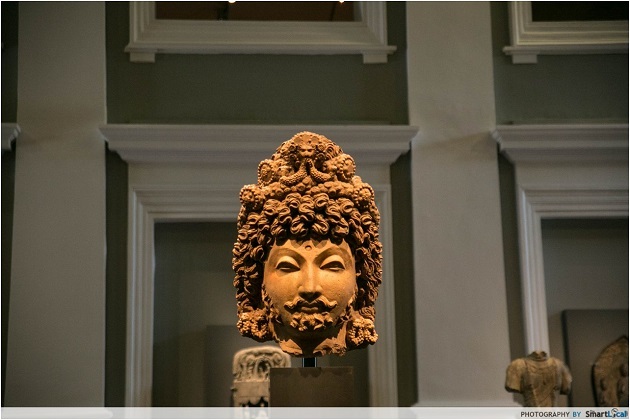 There's a wide display of Asian sculptures, textiles, jewelry and weapons, each artefact accompanied by informative descriptions. Finish walking through the museum in an hour or two; there are also guided tours, although we opted to explore the museum by ourselves and found it highly illuminating. 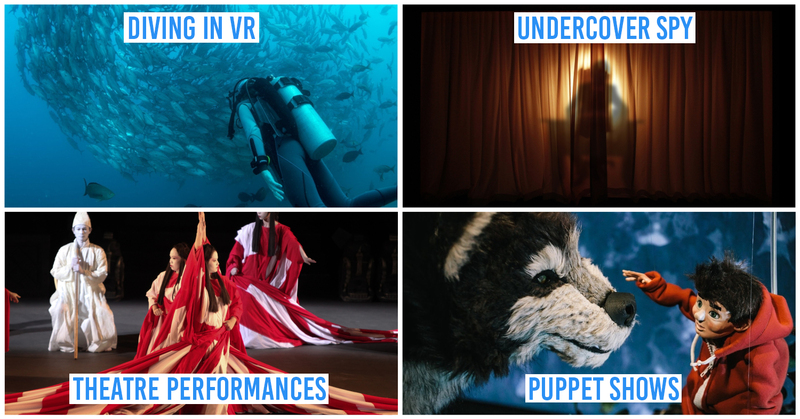 Check out what’s on at the museum here. 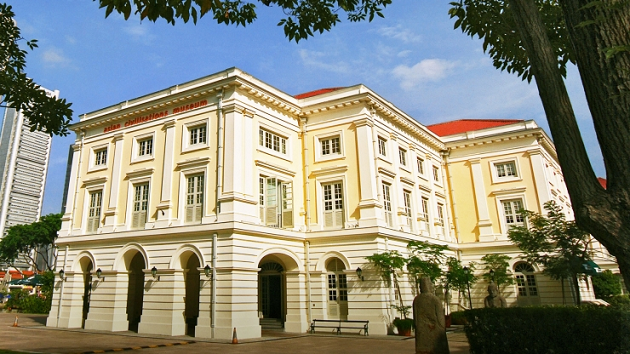 The colonial facade of the museum is understatedly elegant and photogenic, although it is currently under construction and will be completed by the end of October. 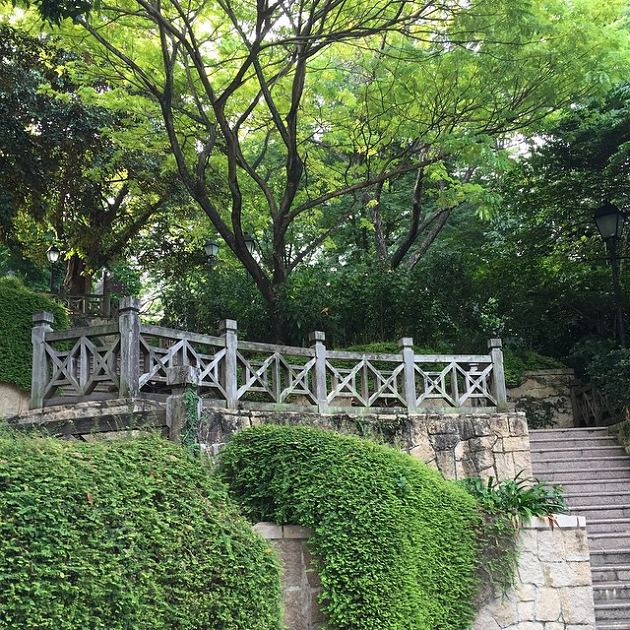 We took an uphill stroll through Fort Canning Hill to get to Raffles Terrace, a pleasant oasis away from the action of the riverside nearby. Fret not, my fellow bums, the canopies of trees lining the pavement provided lots of shade, making it a leisurely walk. We initially planned to pop up to Raffles Terrace just to get a good view of the cityscape below, but ended up staying there for quite some time because it was such a peaceful area, with only the occasional runner passing by. Get here via the entrance at Hill Street from the side of Old Hill Street Police Station, or from the overhead bridge a stone’s throw away from the G-Max Reverse Bungy. You’ll want to power your walk with a meaty kebab at Roll-Up before this. 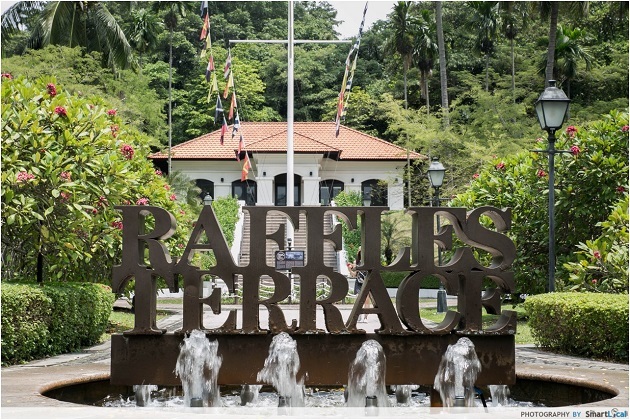 Alternatively, get a kebab to take away and enjoy it amidst the lush greenery in Raffles Terrace! 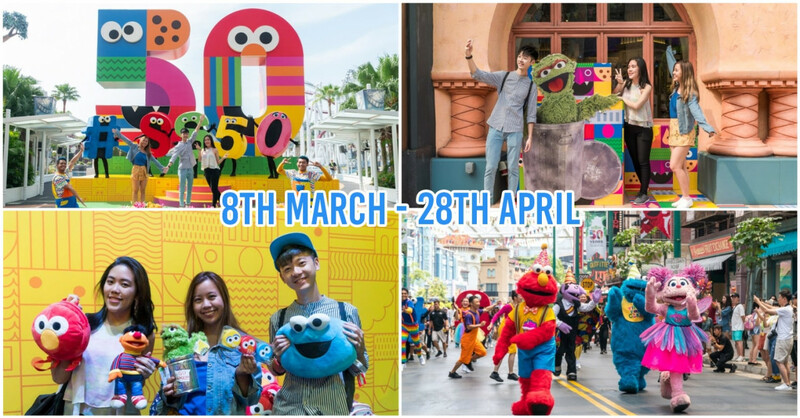 Although most of us only visit the Singapore River stretch when the skies get dark, what better time to visit these attractions than during the day when less people are around and when all the attractions are open? 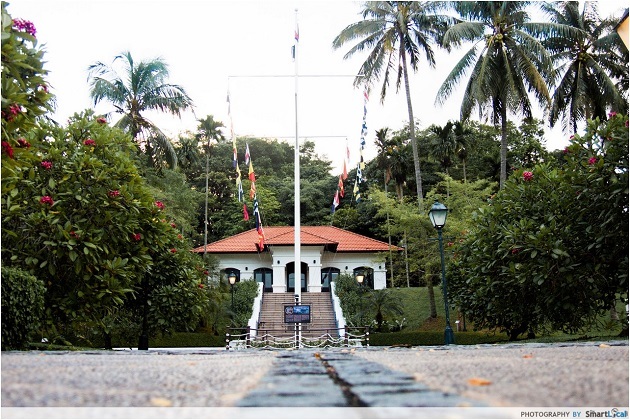 Better yet, visit in the morning and you can enjoy the cool breeze as you walk down the riverside. And when you get hungry strolling down the river, you can take advantage of these amazing lunch deals by the riverside. 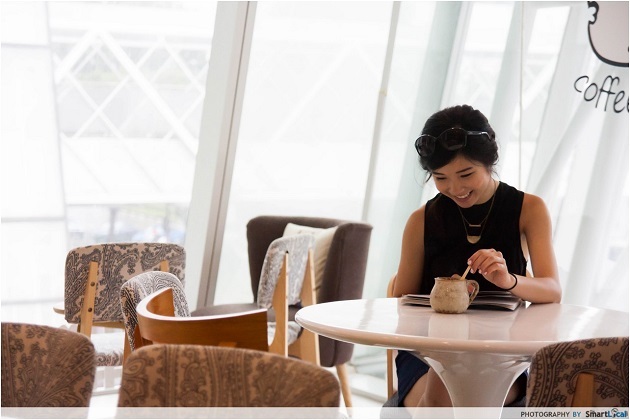 Spend $100 with a UnionPay card at restaurants like Peony Jade, Brewerkz, and Wakanui along the River, and you'll get a $20 voucher for your next visit back at the same restaurant! 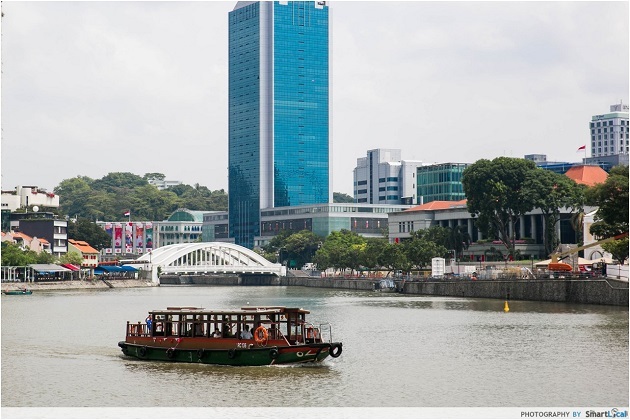 Now, who said the Singapore River was only for tourists? This post was brought to you by Singapore River One (SRO) and UnionPay.